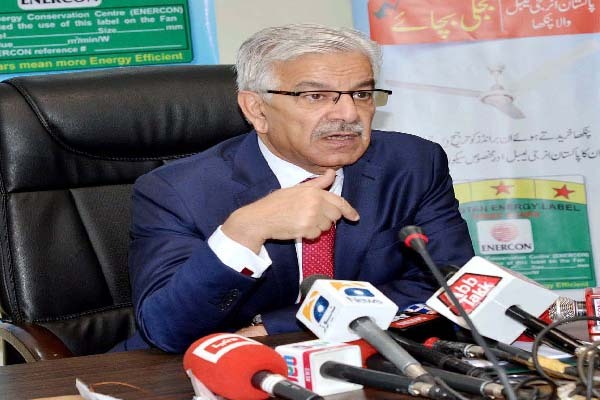 ISLAMABAD, Nov 1 (APP): Minister for Defence Khawaja Muhammad Asif Tuesday said the government would accept the Supreme Court’s decision regarding Panama Papers. Speaking in a private news channel programme, he said on one hand petitions were filed in courts to seek justice and on the other baseless criticism was unleashed on the judiciary. The Panama Papers case was with the apex court, which would decide on the formation of judicial commission to probe the matter, he added. He said Pakistan Tehreek-e-Insaf (PTI) had failed to gather people for its protest in Islamabad. PTI chief Imran Khan very well knew about his popularity among the masses, moreover, his announcement to call off the lockdown plan had isolated his workers and supporters. Even the PTI workers residing in Islamabad and Rawalpindi did not heed his call, he added. The people had taken part in the recnt PTI protest with less enthusiasm as compared to the last year’s sit-in, he added. Khawaja Asif alleged that Imran Khan know nothing about politics. His workers seemed to be present only on social media but not in real life, he added. To a question, he said the government had decided not to arrest Sheikh Rashid. Replying to another quesry, he said Prime Minister Muhammad Nawaz Sharif’s popularity graph had risen because of development works undertaken by his government and he would again become the prime minister after winning 2018 general election. The national economy had improved and power shortage would be overcome by 2018, he added.